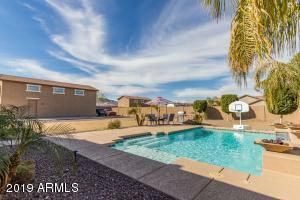 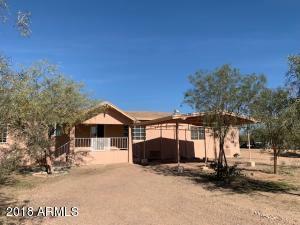 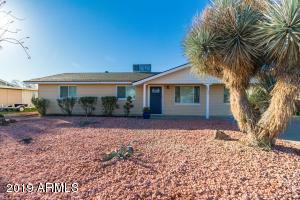 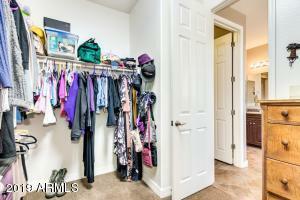 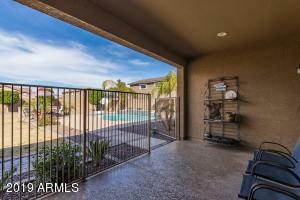 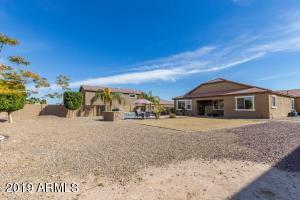 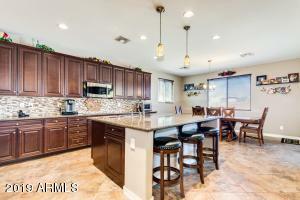 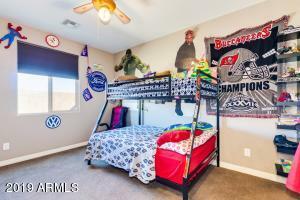 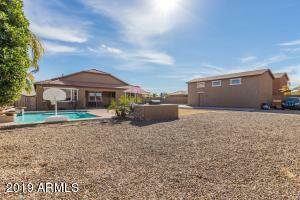 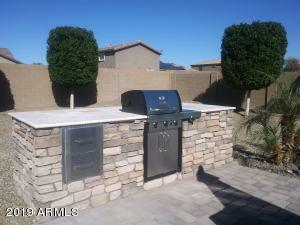 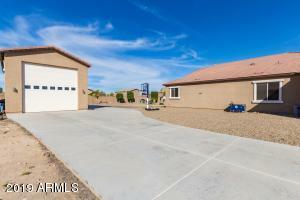 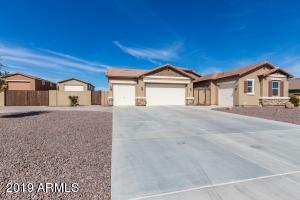 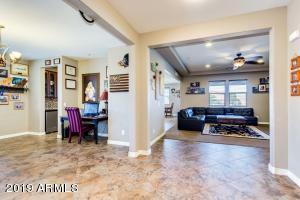 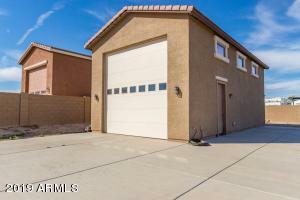 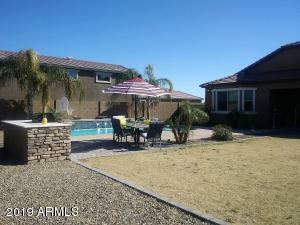 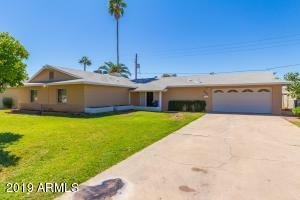 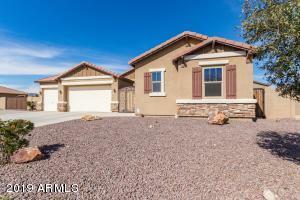 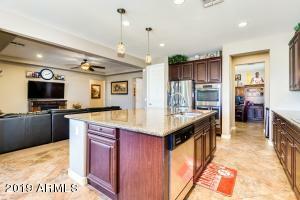 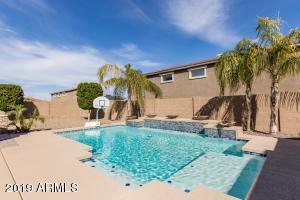 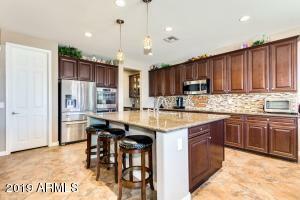 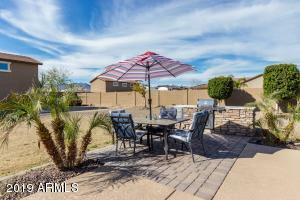 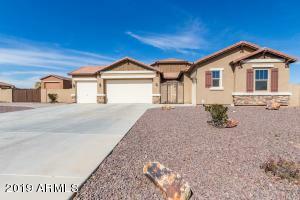 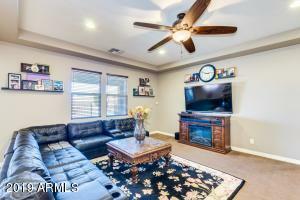 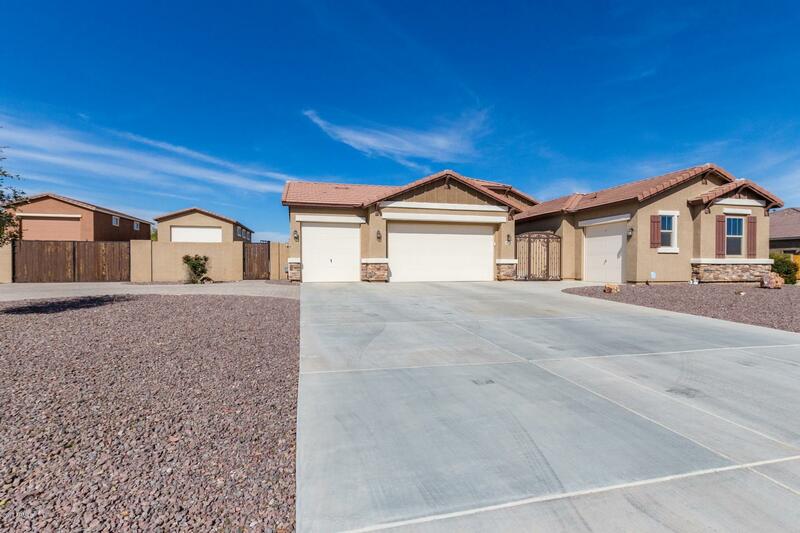 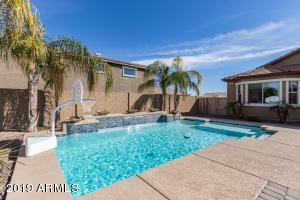 Resort style living in this highly desirable, RV friendly neighborhood! 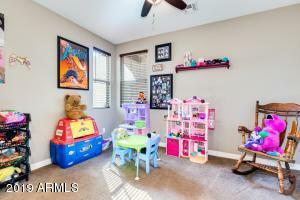 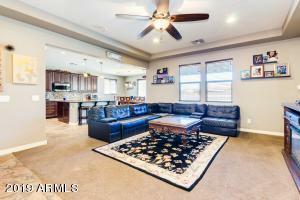 3 bedrooms+ Bonus Room/2.5 baths & over 2500 sq ft. of comfort & luxury. 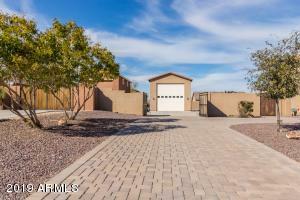 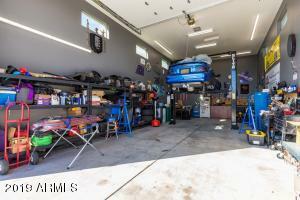 4 CAR GARAGE & custom entry gates. 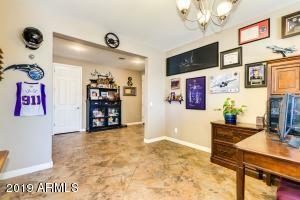 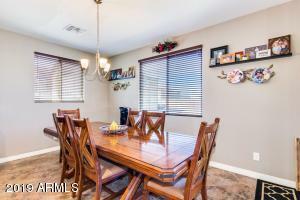 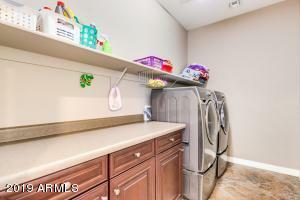 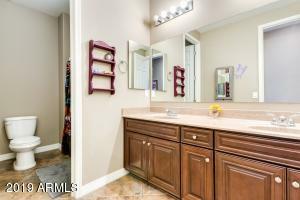 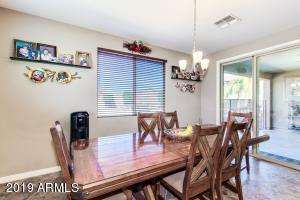 Step inside to find upgraded tile, formal dining room/den & butler's pantry. 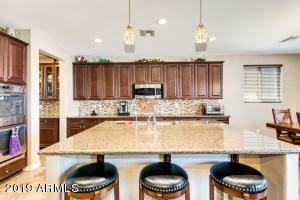 Gourmet chef's kitchen w/ SS appliances, double ovens, 36'' radiant cooktop, granite countertops, kitchen island w/ bar, designer back splash & espresso cabinets. 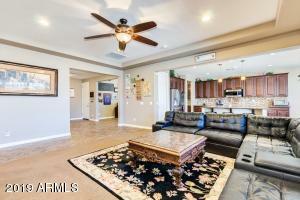 Open great room with tray ceiling & neutral tone paint. 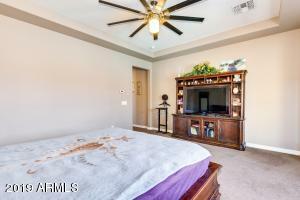 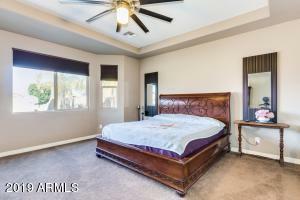 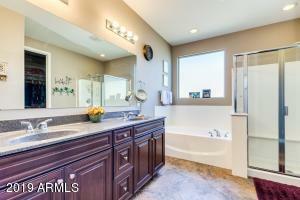 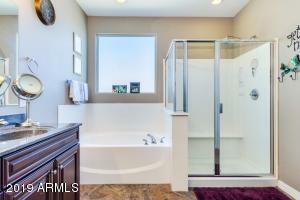 Master suite boasts bay window w/ pool view, separate tub & shower, dual vanities & large walk-in closet. 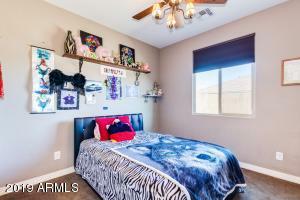 Add 2 more bedrooms to complete this beautiful interior. 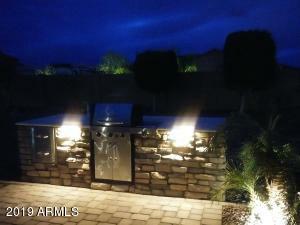 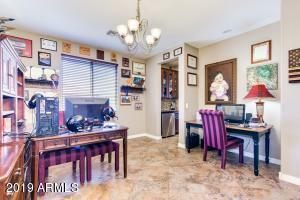 Outdoor BBQ island, Sparkling POOL w/ 3 waterfalls & SEPARATE DETACHED (800 sq ft; 15 ft high) RV GARAGE on landscaped 1/2 ACRE Lot!